Well, the carnivore and I have a bit of news... we're going to be adding another baby omnivore to the family! And while, the little guy or girl won't make a debut til late September, the effects are already being seen in our household. See, since I am still nursing baby #1 (just for a few more weeks), I am now eating for three! As such, my doctor's exact orders were "to eat like a trucker." Not a problem! For once in my life, I am actually getting to indulge in heavy caloric foods without any guilt. 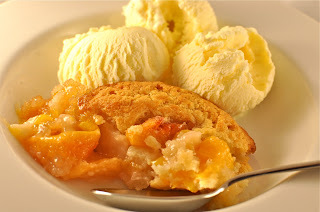 This is how cobbler week happened. Since, I am craving spring foods, but they just aren't here yet, this was a good compromise. I just used frozen organic fruit. That way I got the taste of the fresh fruit without having to wait a few more months for my local farmers' markets to have the real thing. Cobbler always makes me think about my great grandmother. She would give me a little red bucket to fill up with busting blackberries from the side of her small farm. They were right between the plum tree and the crab apples. She always left me with the warning - "Don't pick the red ones, and watch out for snakes!" I think I spent more time looking at my feet worried a cotton mouth might attack at any second than I did at the prickly bushes. 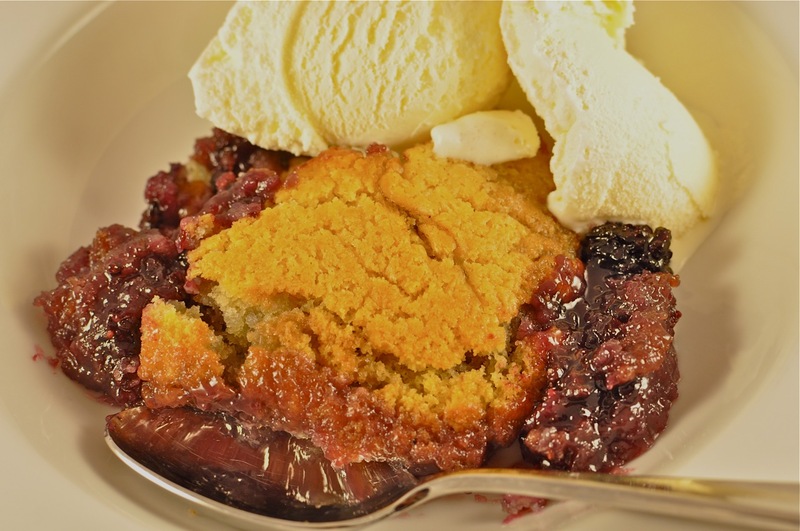 When I returned, safe and sound, bucket brimming with sweet berries and purple stained fingers, my reward was a freshly made cobbler. She always told me it was super simple - a cup of this, a cup of that. And you know what? She was right! I found this Betty Crocker recipe online (because alas the family recipe has been lost) and adjusted it to make both a triple berry cobbler and a peach one. 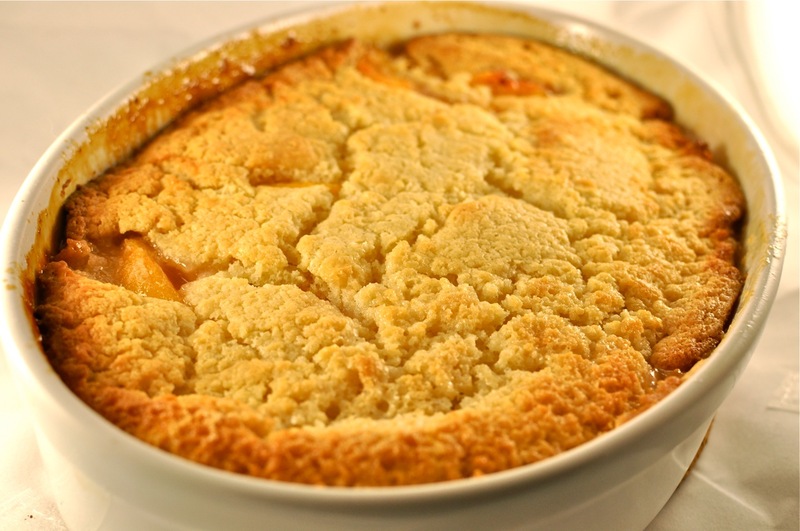 (You can't have too many cobblers, right?) They might not have been as good as my great-grandmothers, but they were plenty tasty. And, for a few hours I was stuffed, which is no small feat these days I assure you! This looks delicious, so hungry now. Want to make this at the weekend.